Closing the gap between laws and procedures and their practice and implementation has long been both a thorn in the side of civil society actors, and also a challenge and a source of inspiration for citizens to hold authorities to account for their policies and actions. Examples such as the Reanimation Package of Reforms (RPR) in Ukraine since 2014, or Electric Yerevan in Armenia in 2015, have seen civil society either taking the initiative in proposing policy reforms and drafting laws and amendments to existing legislation, or launching protests against the perceived unaccountability of government. In all six Eastern Partnership countries (Armenia, Azerbaijan, Belarus, Georgia, Republic of Moldova, and Ukraine), as outlined in the study, Civil Participation in Political Decision-Making in the Eastern Partnership Countries – Part One: Laws and Policies, there are "shortcomings in the clarity, effectiveness, and inclusiveness of their policy-drafting and evaluation procedures". In the latest book, the authors first assess to what extent the statutory procedures have been followed in the policy-making cycle in recent years, and then look at a set of case studies in each country to examine in detail how participatory policy-making is working in practice. For each country, two case studies examine participation in the law-making process, and another two case studies consider civil society initiatives in policy-making. Some of the latter category include engagement in law-making processes through civil society initiatives – sometimes working to unblock particular law-making processes – while others involve more systemic initiatives to reform policies, and others amount to civil society protest movements in response to controversial decisions or unaccountable practices by public authorities. 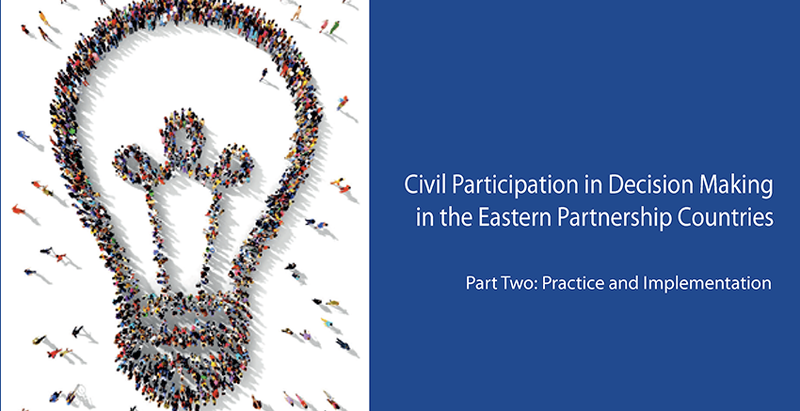 Civil Participation in Political Decision-Making in the Eastern Partnership Countries – Part Two: Practice and Implementation can be downloaded here. 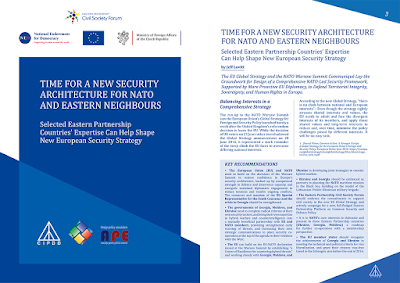 The two studies are published within the Regional Project on Civil Participation in Decision Making in the Eastern Partnership Countries, carried out as part of the Partnership for Good Governance, funded by the European Union (EU) and the Council of Europe, and implemented by the Council of Europe in Armenia, Azerbaijan, Georgia, Republic of Moldova, Ukraine and Belarus. 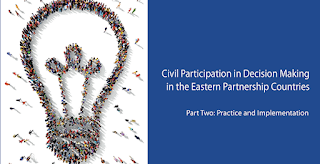 Civil Participation in Political Decision-Making in the Eastern Partnership Countries – Part One: Laws and Policies can be downloaded here.